Touchpoint provide lectures, seminars and continuing professional development for complementary therapists. Our main target group is experienced reflexologists. We wish to ensure, that participants on Touchpoint seminars acquire useful new knowledge as well as having new thoughts arise. In our experience both the competition and expectations to complementary therapists are rapidly increasing. Therefore, we strive to maintain a high professional standard and we are not afraid of challenging our participants. One functions the best, whith openness to new knowledge and a desire to always improve. Touchpoint offers a series of post graduate seminars in Denmark and abroad. In addition we convene seminars in Denmark with foreign tutors. In step with the process of globalisation, we find it important to maintain and develop international networking on all aspects of complementary therapy. We have presented workshops and lectures in Argentina, Australia, Belgium, Denmark, England, , Germany, Greece, Iceland, Norway, Peru, South Africa, Sweden, Switzerland, The Netherlands, United States, Wales. With 30+ years of experience working full time in her Copenhagen based practise, Dorthe is one of the reflexology veterans in Denmark. Throughout her career she has always been actively involved with raising the profession's standards and documenting its effects. 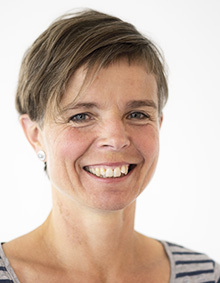 Dorthe has served as chairperson for the Danish Reflexologists Association, FDZ and was instrumental in establishing FDZ's Research Committee in 1991. 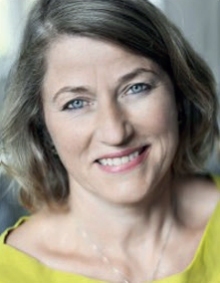 Dorthe Krogsgaard has lectured at international conferences and served as a board member and vice president of ICR. Peter has studied modern physics and philosophy in the USA, and medicine at University of Copenhagen, Denmark. He also studied reflexology and has practiced this since 1990. 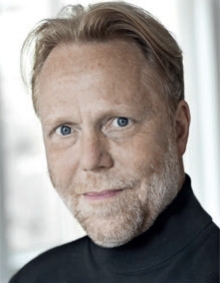 Peter Lund Frandsen is an international tutor, lecturer and author of many articles on various aspects of reflexology. In Denmark he is co-head and partner of Institute of Complementary Therapies (IFIB). Office manager and activity coordinator.